THE EVENT INDUSTRY'S FIRST COMPREHENSIVE DIGITAL PLANNING AND COLLABORATION TOOL! Designed to streamline the entire event planning process, getplanning enables Event Planners and Hotels to work together more effectively when planning and running events. 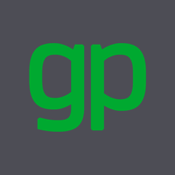 getplanning® is a customizable project management application accessible from any PC, Mac, iPhone, iPad or smartphone. An organized, detailed approach with realtime communication every step of the event planning process. This free app allows you to login to your *existing* getplanning account, and access our beautiful mobile experience on your device.